The City of Oakland welcomes three FUSE Fellows for a 12-month engagement that runs through September 2019. These executive-level fellows will be embedded in the Mayor’s Office, the Economic & Workforce Development Department, and the Planning & Building Department. 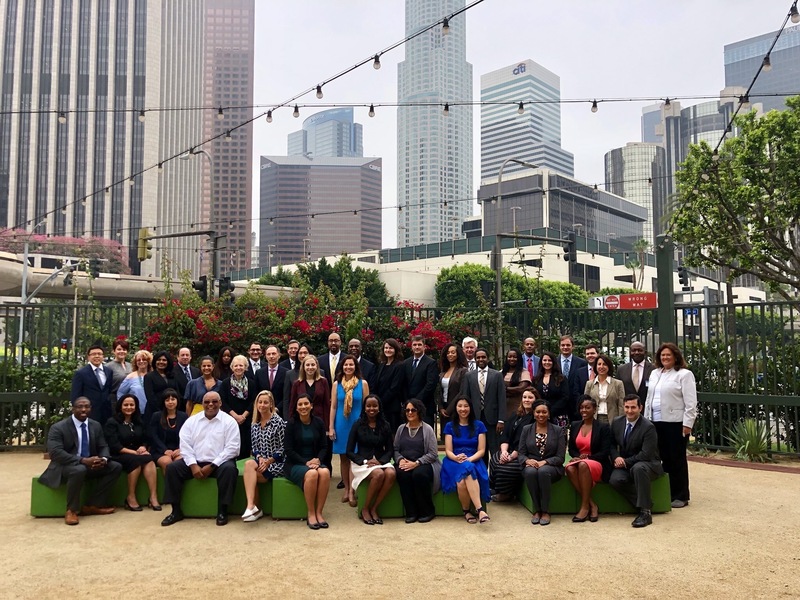 Working alongside City leaders and staff, the fellows will bring new approaches, diverse perspectives, community-based solutions and added capacity to tackle pressing challenges around equitable access to City services, economic growth and education. In the Mayor’s Office, FUSE Fellow Patrice Berry will work on ensuring college affordability for all Oakland students by effectively addressing the systemic barriers that prevent families from accessing federal, state, and local financial aid dollars. Her work will advance the City’s ambitious goal of dramatically increasing the number of college graduates from Oakland public schools by 2025. Patrice is the former director of College Track East Palo Alto. Under her leadership, the college acceptance rate for students in the program reached 100 percent and the college matriculation rate reached 93 percent. Prior to College Track, Patrice served as director of the Student Success Center at the Netter Center for Community Partnerships and co-founded the Leaders of Change program. Patrice earned her Bachelor of Arts degree in political science from Swarthmore College and holds a Master of Education degree from the University of Pennsylvania’s Graduate School of Education, where she was a Woodrow Wilson-Rockefeller Brothers Fund fellow. She is currently completing her PhD at Temple University and is a board member for the Prison University Project. Marsha has more than 20 years of experience in community economic development. She most recently served as a senior program officer at the Local Initiatives Support Corporation in the Bay Area. Prior to that, she spent more than a decade with the Unity Council in the Fruitvale neighborhood of her native Oakland, where she developed programs that enhanced equity and helped address the economic needs of the community. During this time, she implemented a façade improvement program, attracted new businesses without displacing local residents and property owners, supported existing businesses in purchasing property, and reduced the commercial property vacancy rate from almost 40 percent to less than 1 percent. Marsha holds a Bachelor of Arts degree in psychology from the University of California Berkeley. The Planning & Building Department will engage FUSE fellow Timothy Guess to assess and provide recommendations on how to improve permit counter operations, and streamline processing times with a focus on enhancing the reliability and efficiency to better serve developers and residents. Timothy is an experienced entrepreneur with expertise in finance and regulatory compliance and healthcare management. He is the founder and president of Golden Valley Home Care, an independently owned respite care organization in the San Francisco Bay Area. He served as executive strategy advisor, where he helped build new ventures with the executive and administrative team. Prior to launching Golden Valley Home Care, he served as assistant vice president for the global markets and corporate investment banking division at Bank of America in New York City. Prior to joining Bank of America, he worked as a financial and operational examiner for the New York Stock Exchange. He holds an MBA in Strategy, Operations and Finance from Goizueta Business School at Emory University, where he was a Beta Gamma Sigma International Honor Society scholar. He also holds a Bachelor of Arts degree from Morehouse College. Oakland is 1 of 15 municipal or county government locations in the United States hosting a total of 42 fellows. FUSE is a national nonprofit that partners with local government agencies on a range of issues, including economic and workforce development, healthcare, public safety, climate change, and education. FUSE’s approach centers around a year-long executive fellowship program, which embeds fellows with city and county agencies. Economic & Workforce Development Dept.